The girls will contribute all proceeds they get from the pili vesha for the education of 25 orphans under the Asare programme. For the very first time, an all-female ‘pili vesha’ (tiger dance) troupe will make its debut in Udupi on September 2 on Sri Krishna Janmashtami. 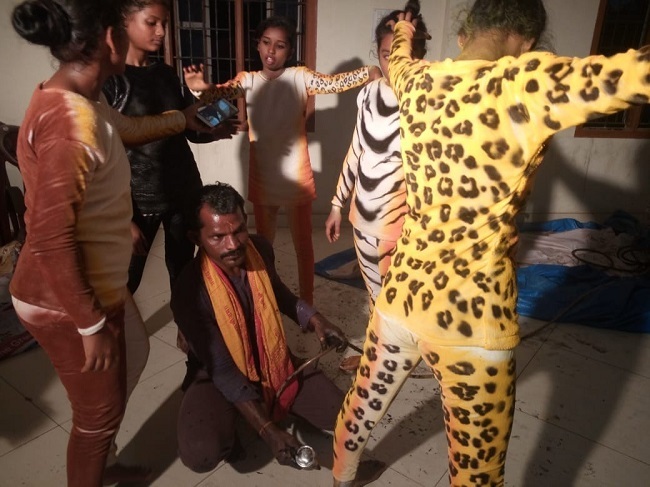 The 19 girls, aged between 4 and 20, are set to perform 'tiger dance' on the streets of Udupi. 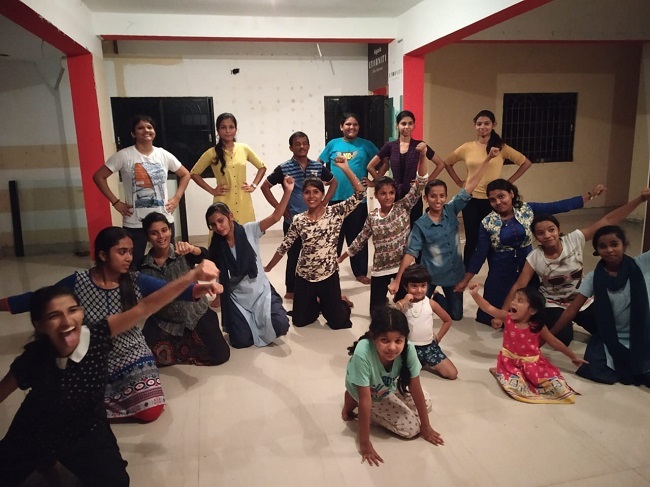 For over a month, the troupe ‘Avighna Vyaghras’, assembled at the Udupi Kadiyali Sarvajanika Ganeshotsava Samiti each day to practice after school and college hours. The girls said that unlike generally observed, the tiger dance is a difficult task and requires one to build stamina while fine-tuning their dance moves. Speaking to TNM, troupe leader Shruthi Sheth (20) says she was fascinated with the art form since childhood. “There is this notion that only men perform the dance. But I was clear that even I could do it, and always longed to dance. When I explored, I could find many more young girls who shared a similar interest. Women have made their mark everywhere, so we thought why not the pili dance, which speaks volumes about our coastal heritage," she says. Shruthi says that most of the girls are part of the Udupi Kadiyali Sarvajanika Ganeshotsava Samiti, which also manages the Asare scheme for educating children. The girls will contribute all proceeds they get from the dance for the education of 25 orphans under the Asare programme. “We all come from different educational backgrounds. There are three children who are in kindergarten. The rest of us are in high school, pre-university and graduate courses,” says Shruthi, who has completed her diploma in hotel management. The girls say that their parents supported the idea when they brought it up. “Not only did they support our cause, but many parents came forward and provided us nutritious food so that we could keep up the required stamina required for the daylong event,” Shruthi says. As it is the first time, the team decided to limit the troupe to 20 members. When word about the troupe spread, more women wanted to join. “Recently we went for practice runs to different places. Many women felt encouraged and are ready to come out and perform. We had to decline them this time, but promised that they will be part of our future performances," the girls say. The troupe is being trained by Udupi-based popular pili vesha artiste Shivappa Poojary, who has been performing for over three decades. He has earned several awards including the ‘Extraordinary Tiger’ award in 1978 and 1987 for dancing for two hours without a break. While artistes generally paint their body yellow, and then paint black stripes, the troupe has a special costume designed by a local dress provider. "We will be wearing full-length bodysuits, and the tiger prints are painted over it. Our faces and hands will be painted, and we’ll have tiger headgear,” says Deekshita, another member of the troupe. When asked about the future of the group, Shruthi, who is also a trained Yakshagana artiste, says that people in Udupi loved the idea of an all-women pili vesha troupe, and are awaiting their performance. “We are planning to dance even during the Ganesh festival and if the response is good, we may continue even during Dasara. Even though we have that initial nervousness, we are confident we will perform well,” she says. The girls stayed up all night on the intervening night of Saturday and Sunday in order to complete their make-up on time to hit the streets of Udupi early on Sunday morning. They will participate in a pili vesha competition at the Kadiyali stage at 4 pm on Sunday.